This post is another based on the City Walks series by Craig Taylor. 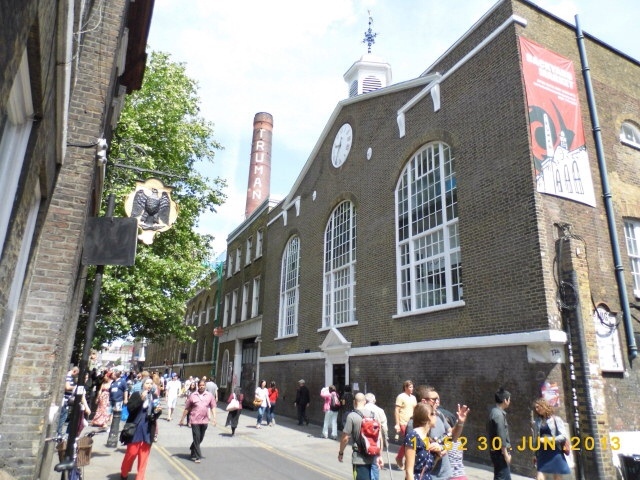 This walk took me around Spitalfields in the East End. The walk started from Liverpool Street station. This was convenient as my previous walk from Old Street had finished there. Making my way up Bishopsgate I soon found my way up to Spital Square. From there I turned into Felgate Street and then into Commercial Street. 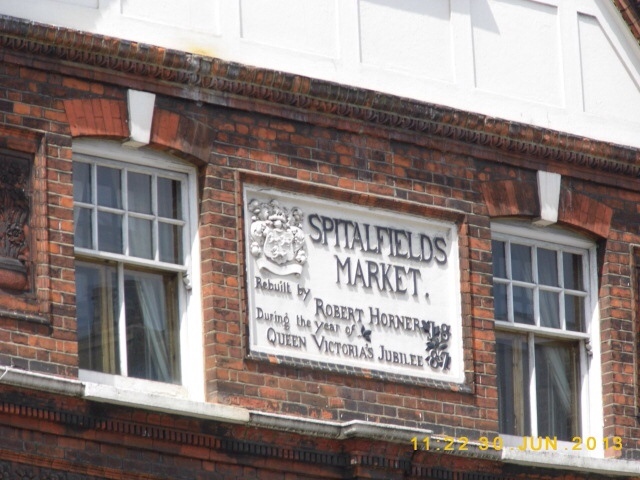 I stopped to look inside Spitalfields. This is one of the oldest markets in London. It is very popular at weekends. There are plenty of traders selling all sorts of goods ranging from clothing to furniture. It is also a good place to come and have a spot to eat. Like a lot of markets in London you can eat the world. Once out of the market you go past 'The Ten Bells' pub. You are now in Jack the Ripper terrority as two of his victims spent their last hours drinking in the pub. Turning left and then another right at Princelet Street I found myself in Brick Lane. 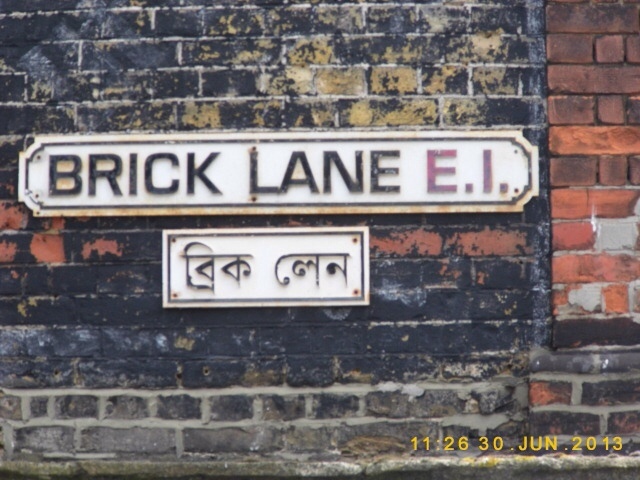 Historically Brick Lane has been home to immigrants who arrived into London. Particularly the Huguenots, Jewish and Bangladeshi communities. This is reflected with the amount of curry houses to be found here. On a previous visit I eat at the City Spice restaurant. It was delicious and you are spoilt for choice. I would also recommend a visit to the Beigel Bake. Open 24 hours a day it offers the best bagels that I ever eaten. The queues would back me up on that. Again being the weekend Brick Lane was packed with visitors enjoying the food stores and market traders. One tip I would have for you, make sure you have enough cash on you as I could not see many ATM's and the one I saw charged for using it. Also I found that the food on Brick Lane was more expensive that at Spitalfields market. I carried up Brick Lane until I reached Osborn Street. Turning left took me into Whitechapel High Street and the Whitechapel Gallery. This is home to displays of modern art. Sadly, my visit coincided with work being done while they install new exhibits. Still it was free and I was grateful to get out of the hot sun for 30 minutes. After leaving the gallery I turned into Gunthorpe Street. Another right turn took me into Middlesex Street. This is home to Petticoat Market. I would have say it was packed with shoppers looking for a bargain. Progress was slow and I would say be mindful of your belongings. Once out of Middlesex Street I was back on Bishopsgate and the walk finished back at Liverpool Street Station. This is another in the series of London city walks by Craig Taylor. I started this walk from Old Street Tube Station. Leaving from exit 4 I was greeted with bright sunshine. 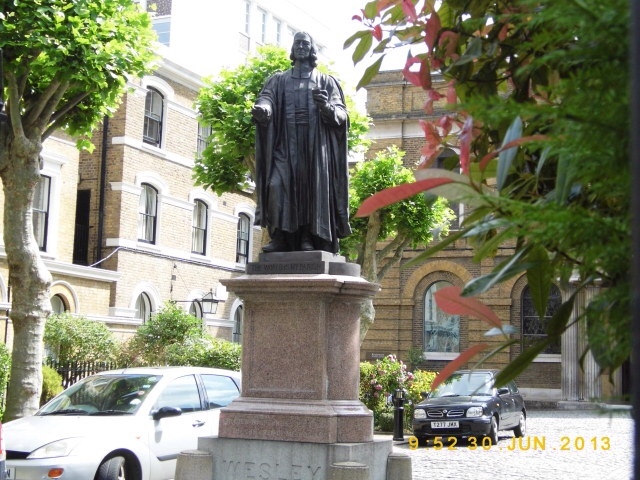 Making my way up City Road I came across the Wesley Chapel and Museum dedicated to John Wesley the founder of Methodism. Being a Sunday morning the museum was not open. I managed to sneak in a few photos while the congregation were making their way to the service. Crossing the road I made my way toward Bunhill Fields, an graveyard that is no longer in use. It is the final resting place to the John Bunyan, Daniel Defoe and William Blake. 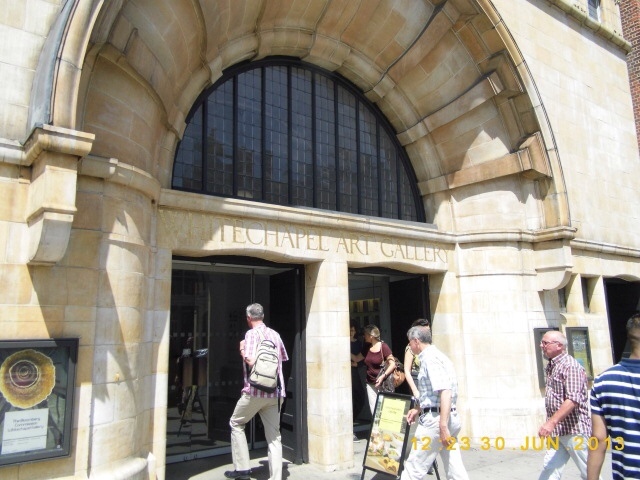 After leaving the graveyard I made my way down towards Chiswell Street. I was now in the heart of the city of London. It was quieter than normal. A right turn took me into Finsbury Pavement. Crossing the road it took me into Finsbury Circus. A pretty garden the standout feature is the magnificent looking bandstand. I left via Bloomfield Street and carried on until I reached New Broad Street. Crossing over I entered Bishopsgate Church Yard. 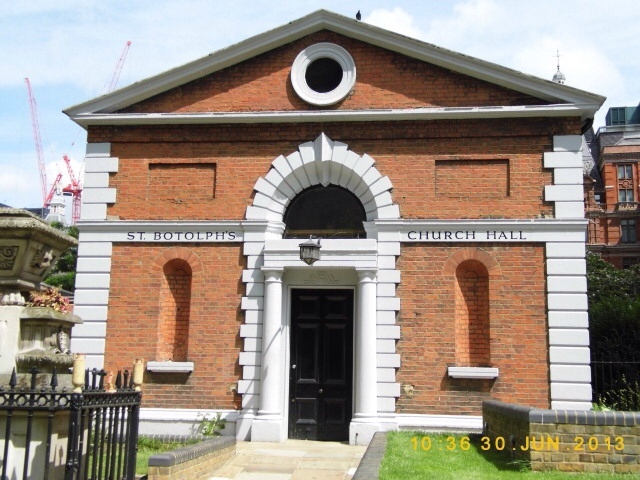 I walked past the church hall of St. Botolph's. Once I left St. Botolph's I was on Liverpool Street. I followed until I reached Liverpool Street Station where the walk finished.